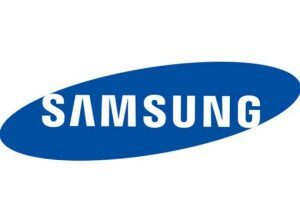 Bitcoinx » News » Is Samsung Entering The Crypto Mining Industry? Posted by Steve Shanafelt at January 31, 2018 in Bitcoin Mining, Bitcoin Mining Hardware, Bitcoin Tech, News Comments Off on Is Samsung Entering The Crypto Mining Industry? An unnamed Samsung representative said that the chips were being made for a customer in China, although it remains unclear who that customer is. Given China’s complex relationship with cryptocurrencies — exchanges in the country remain officially illegal — the news is certain to spark speculation about Samsung’s future plans for the mining industry. At the moment, Chinese cryptocurrency mining is dominated by a single entity, China-based Bitmain, which also uses TSMC for its hardware manufacturing. Is this a new line of Bitmain products using Samsung chips, or is Samsung looking to carve out a niche in the cryptocurrency mining market? Either scenario is possible, but the latter seems more likely. Samsung is already a player in the cryptocurrency mining space thanks to its line of GDDR6 GPUs, which are powerful and efficient enough to compete with Bitmain products. Given the recent boom in interest around cryptocurrency mining, and Bitmain’s troubled relationship with the bitcoin development community over its chips’ ASICBoost feature (widely believed to be the motivation behind Bitmain’s antagonism towards SegWit adoption and one of the causes behind the launch of rival token Bitcoin Cash), Samsung may simply see an opportunity to become a major player in the niche. There is also another possibility. As reported by The Korea Herald, Samsung recently signed a deal with Russia-based Bitcoin mining company Baikal to supply 14nm ASIC chips through TSMC. Production on that deal also began in January, with the produced ASICs intended as upgrades to existing mining rigs. Those rigs are almost certainly Bitmain products, making it possible — if somewhat unlikely — that that Samsung and Bitmain are indirectly partnering through some kind of channel sales arrangement. In any case, Samsung’s official entrance into the cryptocurrency mining industry is big news. Should it prove lucrative for the company, it will only be a matter of time before Samsung’s competitors take a serious look at the crypto-mining market.